← What Color is Your Heart? 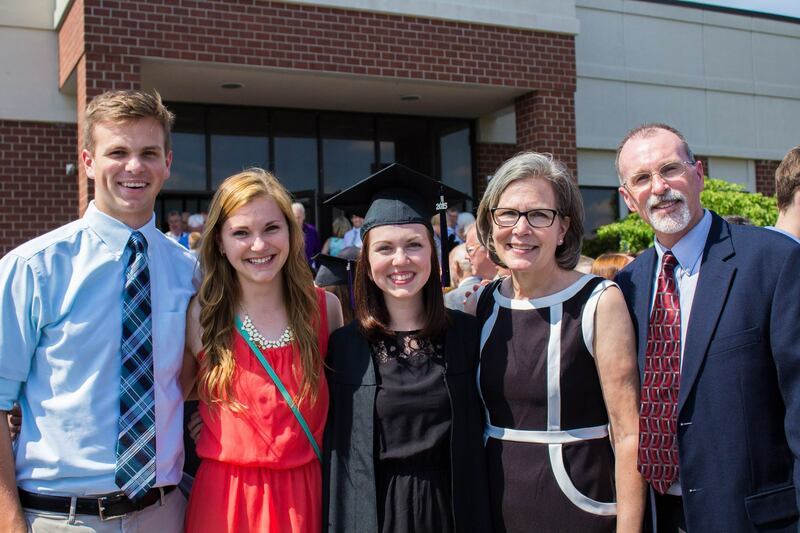 Anna graduated from Asbury University! 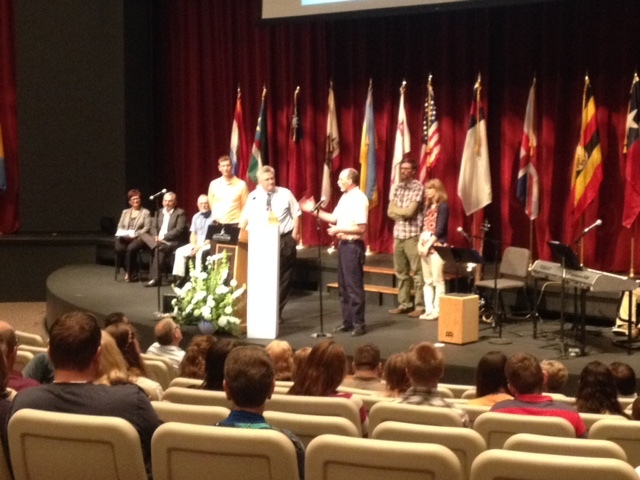 Len shared about our ministry at WGM’s International Celebration of Mission. Reunited with Miguel and Vivian Rodriguez from Honduras. Phillips and Olsens together at last! At World Gospel Mission’s International Celebration of Missions (Huntington University, IN), we were reunited with a special couple from Honduras. 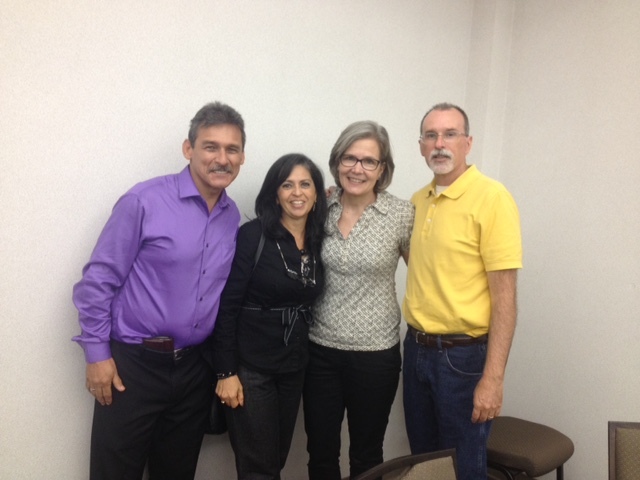 Miguel and Vivian were an integral part of the church we attended after first arriving in Honduras in 1996. We ministered to young married couples together and spent many hours together with our families. They are now pastoring a church in McAllen, Texas, and their youngest son is a student at Taylor University with our middle daughter, Abigail. What a blessing to see them again! We also connected with another friend from Honduras while there. 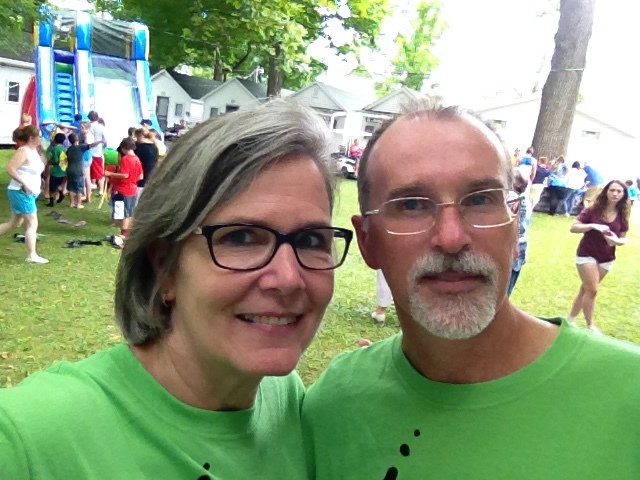 Angela Olsen served as a Volunteer in Action through WGM two separate times in Honduras, the second time actually living in our house with us for a few months. We’ve kept in touch over the years and are so excited to see how God has led Angela and her husband, Pete, along with their two beautiful children, to serve with WGM in Kenya! 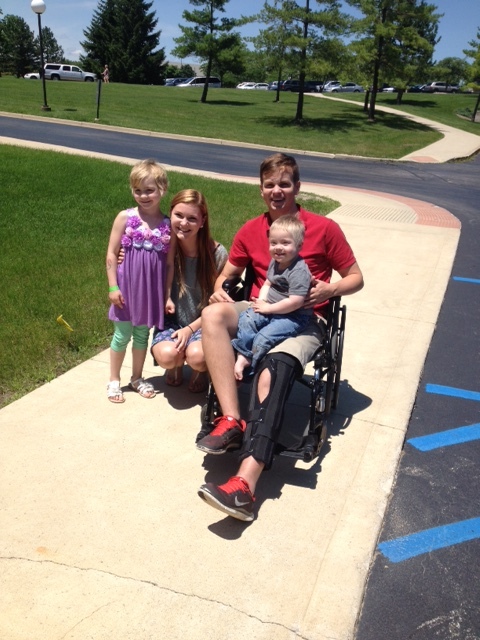 Abby and Luke were about the same ages of Angela’s children now (Ella and Sam) when she first came to Honduras! What fun for them to meet one another! 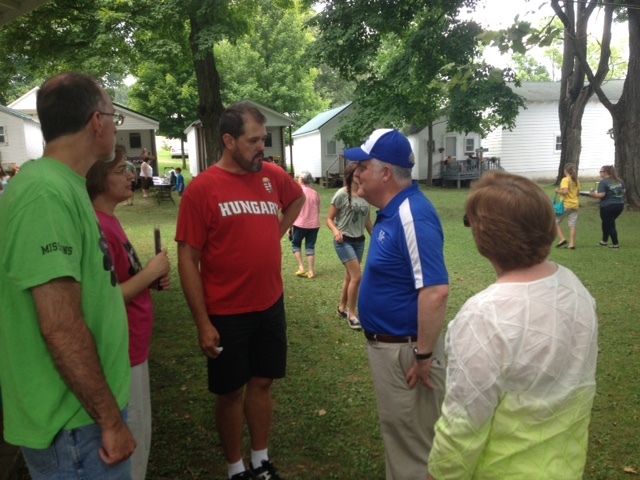 July found us traveling to Mount Vernon, Ohio, to be a part of Camp Sychar, a thriving holiness camp. We were able to be a part of the festivities on Missionary Day, as well as to share more about our passion for Christian school education, both locally and globally. 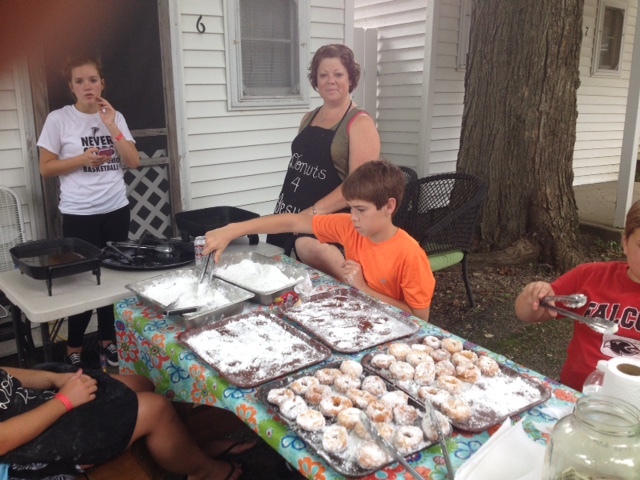 Donuts – a missionary day tradition! 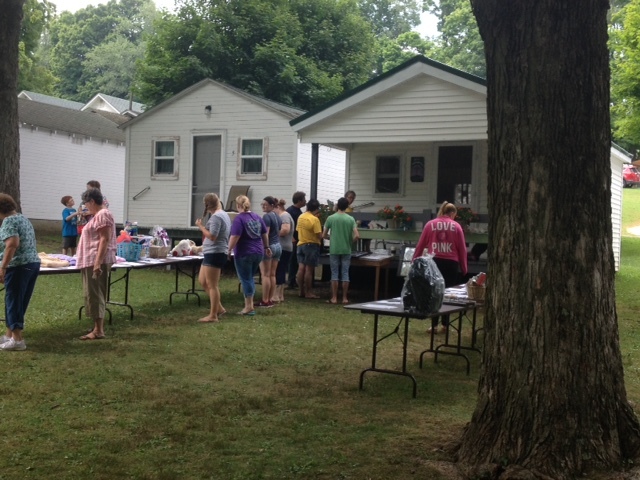 The yearly auction raises money for missions. It was a great summer, all in all! Be looking for our September newsletter with info about the fall! This entry was posted in Education, Ministry news. Bookmark the permalink.